Made in USA Rail mounted vertical grip with built in bipod is just the ticket when you need both a grip and bipod and want to save rail space and weight. 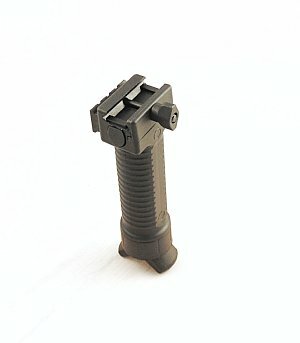 This Military grade polymer grip has metal inserts in the legs for the best or strength and light weight. Need a grip, push the legs up and they lock in place. 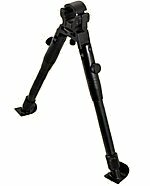 Need a bipod, a push of the button deploys the legs and you have a bipod and grip. Another great item for rifle from David's Collectibles. 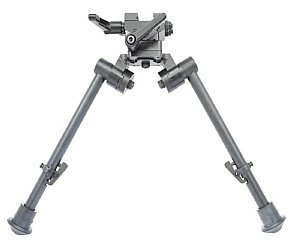 Easy to handle and use clamp on bipod gets you weapon steadied without troublesome clamp on or rail mounting. Made of tough polymer, bipod easily clamps on barrel with ease and spring clamping action. 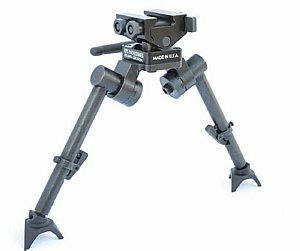 This clamp on bipod is the most simple bipod available, and it gets the job done. Measuring at 12.75", it will clear your high capacity magazines without touching the bench, floor, or wherever you have your rifle mounted. Simply open the grip and clamp it onto your barrel. It will maintain a firm grip that will withstand the recoil of your rifle, constructed with tough industrial polymer. If you are running and gunning, after using the bipod, simply squeeze it and remove from the barrel, stash in your bag or pocket and you're good to go. When we found these we just fell in love with them! Our office staff started claiming "theirs" before we could pack them in display packs! These heavy duty monopods weigh in at 1.96 lbs and are made of heavy duty ABS plastic exterior with aluminum alloy construction. 4 section leg extends from 21 inches to 63 inches. Unit can be tilted up or down and has built in axial rotation. 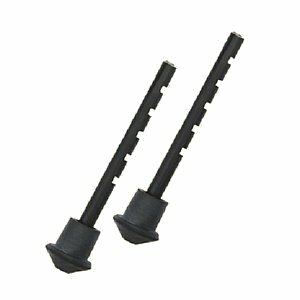 Durable steel foot can be retracted to reveal integreal spike for better traction in mud. Three lower sections have flip open release with upper adjustment made possible by hand latch. Unit comes with sling and sling swivel quick release mounting adapter. List price is 129.99, we are offering them at a staggering savings priced at 59.99. Hurry, we only have a few hundred at this price then they will be discount priced at 89.99! 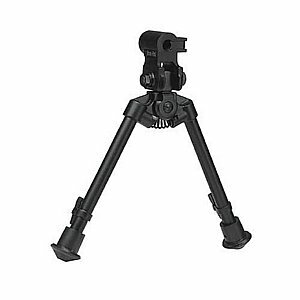 Heavy duty barrel clamp bipod is great when you need to be low to the ground and need a bipod to steady your shot. Clamps onto barrel with a band latch and adjustible adjustment wheel. 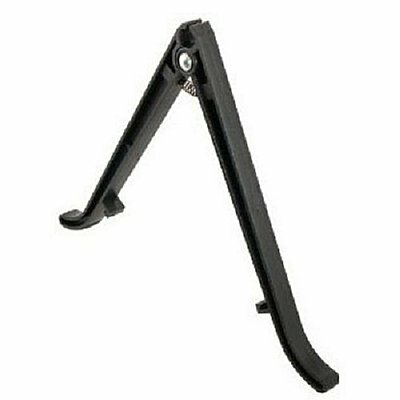 Bipod is made of all metal with rubber non slip feet. 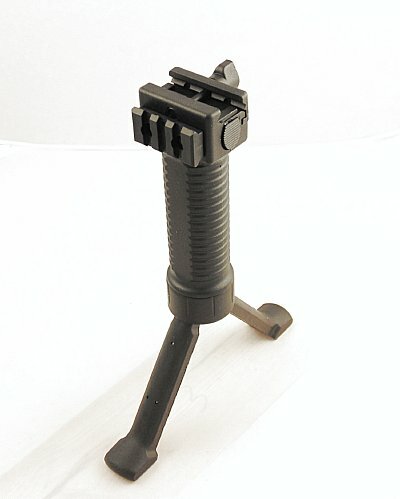 Great bipod for use on many applications with easy barrel clamp head. This problem solver allows you to put bipod on many applications. Rock Solid Mounting and Durability. User Friendly Steel Reinforced Clamp-On Mounting Deck. High Tech Durable Aluminum Construction. Innovative Adjustment Wheel for Wide Range of Barrel Sizes from 0.43" to 0.75" . 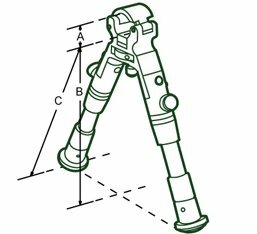 Fully Adjustable Legs Provide Center Height from 6.2" to 6.7". Sturdy Folding Legs with Unique Posi-Lock Mechanism to Prevent Tipping. Rubberized Comfort Stand Feet. Barrel Diameter: .43" to .75"
You need a way to mount your bipod around the barrel without a rail. This is the answer to your need. 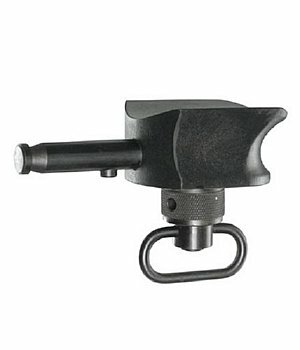 Easily clamps around and locks on your barrel with positive lock cap and thumb screw to tension. Legs lock up and down eliminating the worry of your bipod tipping down while using. All metal construction with rubber feet. This low mount bipod is perfect for tactical and low mount situations. 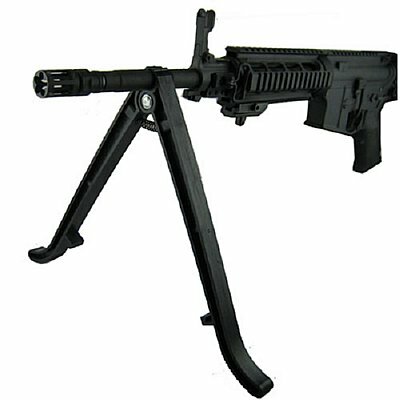 Bipod clamps around barrel allowing easy installation on weapons without rails or studs. All heavy duty construction gives you a rock solid foldable and length-adjustible unit at a price you have to love. Another tickbitesupply best seller. â€¢ Innovative Adjustment Wheel for Wide Range of Barrel Sizes from 0.43" to 0.74"
â€¢ Fully Adjustable Legs Provide Center Height from 8.7" to 10.2"
(TL-BP08ST) High Tech Durable Aluminum Construction, Adjustment Wheel for Wide Range of Barrel Sizes - 11mm to 19mm. User Friendly Clamp-On Features Unique Posi-Lock Feature to Prevent Tipping. Folding with Fully Adjustable Center Height From 9â€� to 11â€�, New Combat stand feature! I am sold out, more are on the way. The Model 2 â€“ the all around size for the versatile shooter. 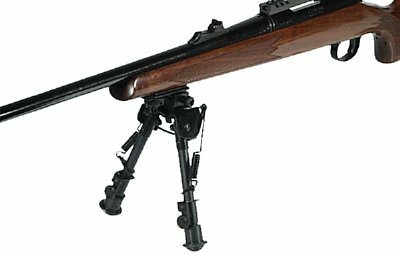 The Model 2 is the most popular selling bipod in the Classic series. It can be used at the range, hunting, shooting prone and from many other surfaces. The legs have rubber feet that extend from 9 inches to 12 inches. •Great Value at an Excellent Price! 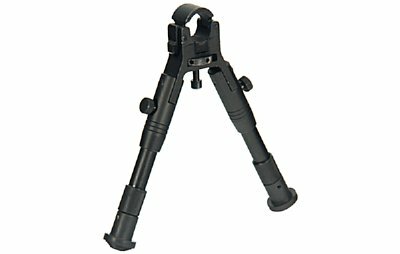 Versa Pod bipod adapter, mounts to stud and allows for Quick release and installation of Versa Pod bipods. For the shooter that demands the best, Versa-Pod delivers. 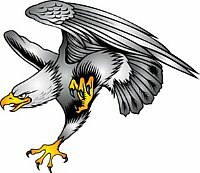 Another great tickbitesupply.com product offering. Solid secure mounting point for that great Versa-Pod bipod. 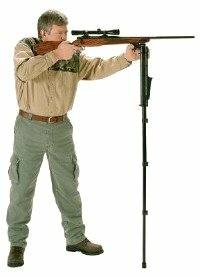 Fits majority of hunting rifles on market fitted with a contoured stock and Q.D. sling swivel stud. 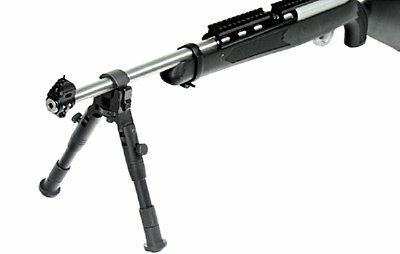 Allows you to mount a bipod without modifying your gun. This model features our popular tactical sling loop. A freely-rotating Q.D. stud is mounted on the bottom of the adapter for mounting your sling. Includes 1 5/8 sling loop with push button release. When our personnel are in the field, they need a dependable, easy to carry shooting rest. The Sierra 7TM is the most up-to-date, fully featured, and reliable small arms bipod on the market. Designed in conjunction with top-level competitive shooters and active-duty personnel, the Sierra 7TM has revolutionary, patent-pending features not found on any competing bipod. It gives the shooter the control and stability needed to make the perfect shot, even under the most difficult circumstances. The Sierra 7 is designed to add precision and give critical stability to precision shoulder-fired weapons systems. 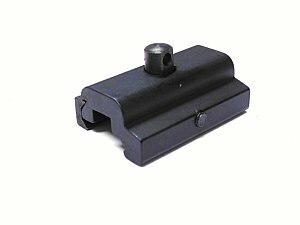 Easy to install and use, the Sierra 7 quickly installs on any standard mil-spec â€œPicatinnyâ€� rail. Expertly designed and manufactured, it is the only bipod that offers perfectly smooth tracking and canting features, allowing the shooter to engage moving targets and transition from target to target without any vibration or variation in precision. The Sierra 7 has a clear advantage in long-range precision shooting, when used by an individual marksman or as part of a sniper team. 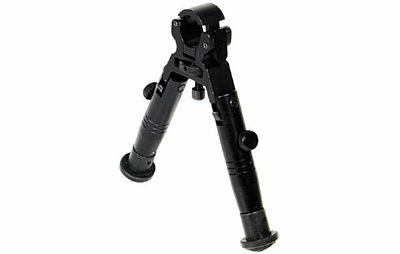 Product: The Sierra 7TM Bipod When our personnel are in the field, they need a dependable, easy to carry shooting rest. The Sierra 7TM is the most up-to-date, fully featured, and reliable small arms bipod on the market. Designed in conjunction with top-level competitive shooters and active-duty personnel, the Sierra 7TM has revolutionary, patent-pending features not found on any competing bipod. It gives the shooter the control and stability needed to make the perfect shot, even under the most difficult circumstances. 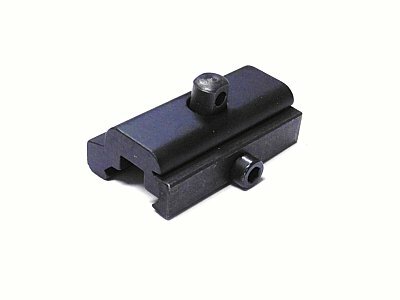 A great David's Collectibles problem solver, our adapter kit allows you to mount a picatinny rail to your current sling swivel stud. 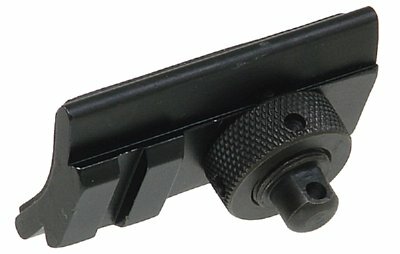 This opens up the door to rail mounted bipods, lights, lasert or grips. 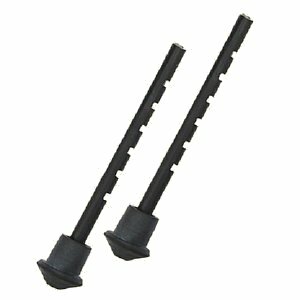 Made of all metal construction, this adapter kit is easy to install and stands up to rough outdoor use.